Whether the clues point to Baldur's Gate 3 or a repackaging of the originals is still anyone's guess. At first, the idea of Baldur's Gate somehow "returning better than it was before" may lead some to the idea of a modern-day third installment-and maybe that's what's coming-but there's more to the puzzle than just the source code. Steam forum user xruiner89 searched the service's registry, and claims to have found a reference to Baldur's Gate there as well (app number 99140 for anyone who'd like to double-check his work). 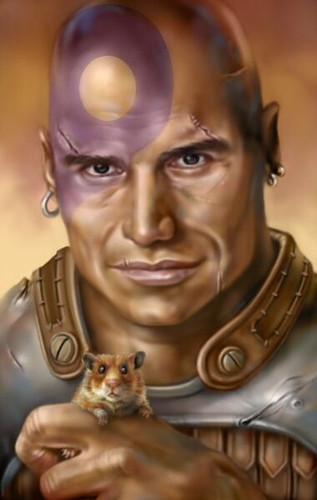 Could this mean a re-release of Baldur's Gate on Steam? Perhaps an HD re-release? Perhaps an HD re-release followed by a new sequel? It's difficult, if not impossible to say. Honestly, I've been around the internet for awhile now, and yet how or why people do things like check the HTML source code for a website promoting a game from 1998 is still beyond me. Still, I can't say that I'm sad someone took the time. Almost any Baldur's Gate news is good news, at least in my book.